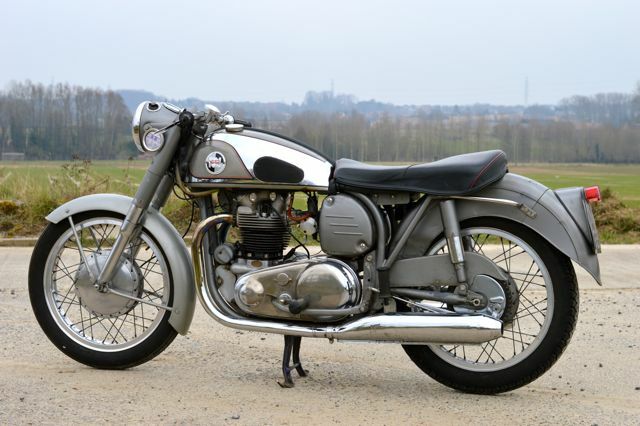 In 1937 the all-new Triumph Speed Twin led the transformation of the British Motorcycle industry. 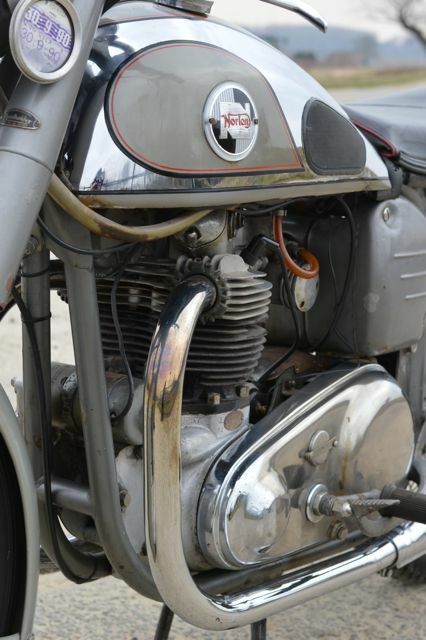 Because of the success of this bike, most competitors began working on a similar set-up, and Norton was no exception. 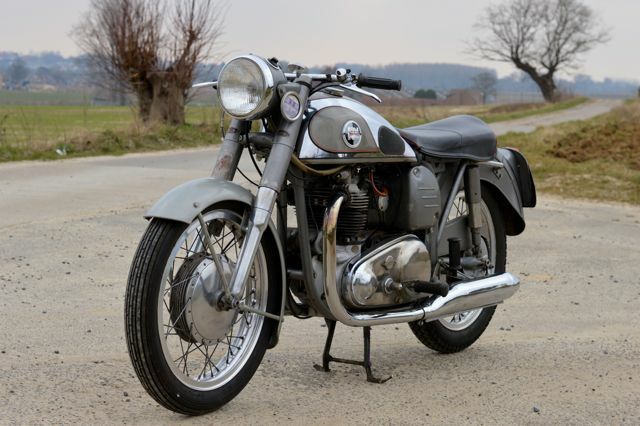 In 1948 Norton launched its first parallel twin: the Dominator, designed by Bert Hopwood, who had experience with working on multi-cylinder Triumph and Ariel engines. The Dominator really stood out from the competition when it was launched in 1951 with the famous McCandless Featherbed frame and Roadholder forks, setting a new standard in road holding. Needless to say that Norton and the Featherbed frame are motorcycle icons. This is a chance to own one of these icons! 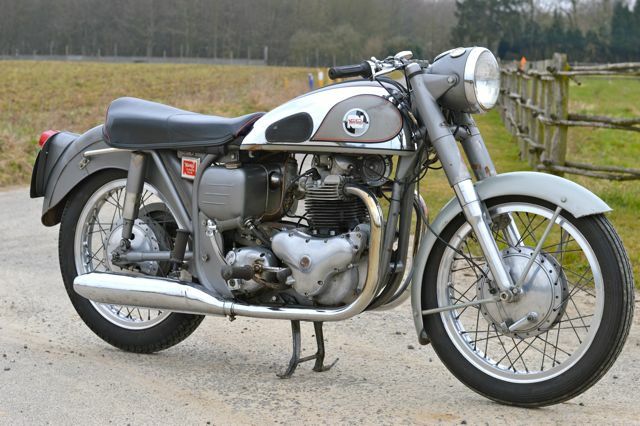 This Model 99 600cc Dominator was originally supplied in the UK, 1956 is also the first year of production of the 600cc model. This bike is equipped with sporty period optional alloy rims (original Dunlop on the rear and Akront on the front) and a float chamber extension. 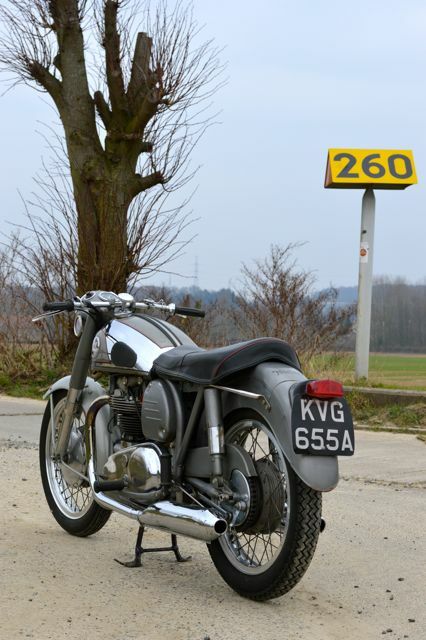 The bike is matching numbers, comes with UK documents and is in a very original state of preservation. She runs and drives great, fully functional and ready for the road. You just have to choose wether you will have a relaxing sunday tour two-up or a sporty trip to the local pub: this bike can do both!